Most competitive sports have officials, Football has its `Referees', Cricket has its `Umpires' and Archery its Judges. These Judges are usual recruited from experienced members of local clubs who are recommended by their club secretary, to the County and Region meetings for approval to be appointed a candidate judge. F.I.T.A. Star Tournaments International Judge or National Judge. Non-Record Status Club open Tournaments County Judge. Naturally at a Tournament the Judge-in-charge would be ably assisted by other Judges of any level of qualification and may include a reasonable proportion of candidate judges. Judges are not expected to control tournaments of a higher level than indicated above, they are encouraged to work at tournaments of higher levels, assisting colleagues having the appropriate qualifications. 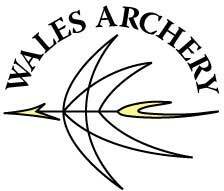 At present we have 6 Archery Judges in Wales with grades ranging from Candidate to National.